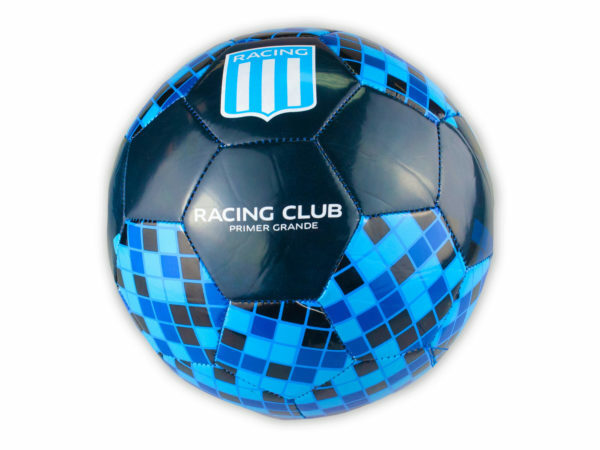 Great for practice and more serious play, this Size 5 Argentina Racing Club Blue and Black Soccer Ball is ideal for sharpening and honing skills. Attractive design features a glossy Blue and black designs. Durable stitched plastic construction can take a beating and stay looking new. Ball has a recommended pressure of 4-6 PSI. Measures approximately 8.5" in diameter. Comes deflated and packaged in a poly bag.